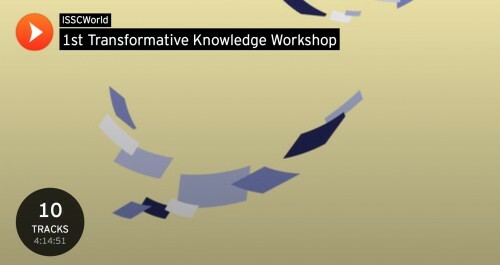 The first of a series of annual Transformative Knowledge Workshops took place in Potsdam, 17-19 November, 2014. The workshop was organized by the International Social Science Council (ISSC), under the Transformation to Sustainability Program. The talks held at the workshop is now available and can be listened to here. The workshop gathered 38 projects that have been awarded seed money from the first round of funding from the Transformation Program to building knowledge partnerships. This funding has been provided to these projects to allow researchers to prepare for the main call for proposal (to be launched in mid-December 2014). In addition the workshop hosted invited experts on social transformation, including the Steering Committee of the Transformation Program. Introduce potential and confirmed donors/funders to the Transformations Programme. The Transformations to Sustainability Programme aims to build scientific understanding of transformative social change in the face of global change and sustainability. In particular it seeks to increase the contributions from social sciences towards developing sustainable and equitable solutions to global problems and increase the use of this knowledge by policy makers, practitioners, the private sector, citizens and activists. The Transformations to Sustainability Programme will support at least 3 Transformative Knowledge Networks. The funding comes from the Swedish International Development Cooperation Agency (Sida) for an initial period of 4 years (2014- 2017), in addition financial support will be sought from other donors. The ISSC anticipates implementing the main call in December for Transformative Knowledge Network proposals in partnership with the Belmont Forum. Selected Transformative Knowledge Networks will each receive up to €300,000 per year over a 3-year period. Read more about the ISSC Transformation to Sustainability Program and the calls for proposal.